US, Navy Region Southwest, Nevada, Churchill County, Fallon. Cost-of-living is average with the exception of housing which is above average. Although relatively isolated, NAS Fallon is only a short drive from some of the finest outdoor recreation areas in the country. If you like to fish, hunt, boat, hike, camp, ride off-road vehicles or ski, the area surrounding Fallon is the place to do it. Ghost towns, historical sites and old mines tell of Nevada's old west history. Yet, there is big city excitement nearby, too. Carson City, Nevada's state capitol, and Reno with its 24-hour entertainment are only an hour away. HISTORY - The end of WWII eliminated the need for an airstrip and Fallon was placed in caretaker status until the Korean War. New construction followed and in 1958, the landing strip was named after LCDR Bruce Van Voorhis, a Fallon native who lost his life and won the Medal of Honor for his valor in a bombing mission against the Japanese in the Solomon Islands in 1944. The early 1960's saw millions of dollars in development funds to expand the station and its bombing ranges to prepare aircrews for duty in Vietnam. 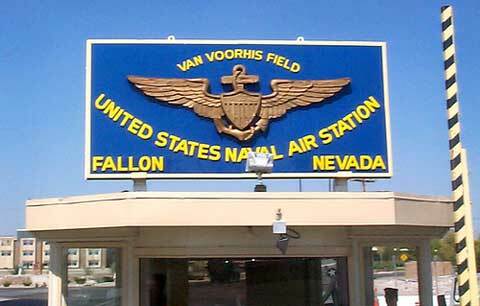 In 1972, Fallon was designated a Naval Air Station. Naval Air Station Fallon now serves as the primary aircraft familiarization and weapons training site for Navy Carrier Air Groups and Marine Corps Air Groups prior to deployment to the carrier of air-ground combat operation air group. Naval Strike and Air Warfare Center (NSAWC) provides advanced tactical air-to-ground and air-to-air combat instruction. MISSION - To operate and maintain an airfield, associated bombing and electronic warfare ranges. Provide weapons training for tactical aviation units of the Navy, Marine Corps and other such aviation units as may be directed by the Chief of Naval Operations. To operate and maintain an intermediate maintenance activity to provide logistic and maintenance support to tenant and transient aviation units. POPULATION SERVED - NAS Fallon's approximately 5,000 military/civilian/contractor personnel and family members represent almost 20% of Churchill County's population. 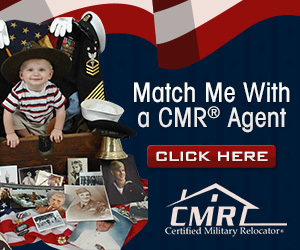 Other DOD activities include: Hawthorne Army Depot, about 75 miles south of Fallon and various National Guard and Reserve units in the Reno/Carson City area. 6 miles south of the City of Fallon, Nevada - 65 miles south east of Reno/Sparks, Nevada - 64 miles east of Carson City, NV - 383 miles northwest of Las Vegas, NV. If you are flying into the Reno-Tahoe International Airport, you NEED to contact your Sponsor AT LEAST two to three days prior to arrival, and make arrangements to be picked up. The airport is about an hour and a half, one way, from Naval Air Station Fallon. If you have not made prior arrangements, you can call the JOOD. There will no longer be a base Duty Driver. Departments and Tenant Commands will be required to provide for their personnel (TAD, PCS, etc.) as needed. The taxi fare to Naval Air Station Fallon from the Reno-Tahoe airport will exceed $100.00, which is only reimbursable in certain circumstances. DRIVING: If you are driving to Naval Air Station Fallon from Reno/ Sparks: Take I-80 East to the Fernley/Fallon exit (#48) veer right and proceed through the first traffic light and make a left (via round-about) onto Alternate US-50. Alternate US-50 will take you directly into Fallon. In Fallon, US-50 turns into Williams Avenue. Continue down Williams to Taylor Street (US-95 south) Turn right onto Taylor Street. Approximately 5 miles out of town turn left on Union Lane. Proceed east to Pasture Road. Turn left onto Pasture Road; the main gate will be approximately 1/4 mile on your right. If coming from Las Vegas: Take US-95 North and turn right onto Union Lane. (Sign points to NAS FALLON). Continue down Union Lane to Pasture Road and turn left. The main gate will be approximately 1/4 mile on your right. No listings found for Fallon Naval Air Station.